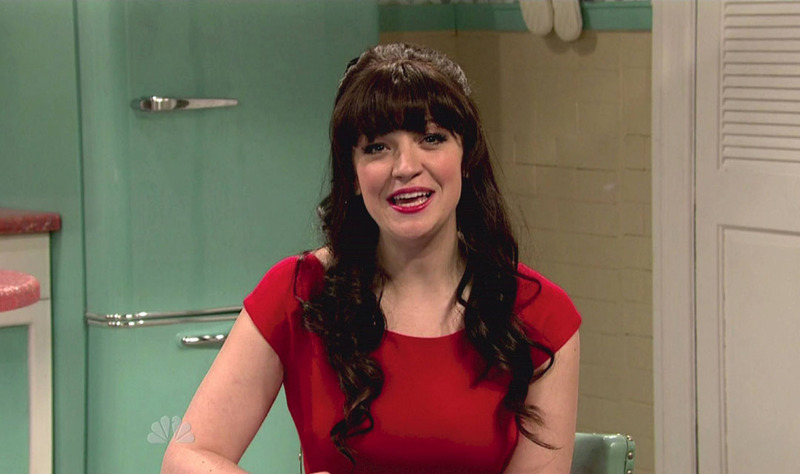 Zooey Deschanel hosts with musical guest Karmin. Bein’ Quirky with Zooey Deschanel Skit: Zooey(Abby Elliott) is joined by Michael Cera(Taran Killam), Mary Kate Olsen(Zooey Deschanel) and Bjork(Kristen Wiig) to talk all things quirky! WENN does not claim any ownership including but not limited to Copyright or License in the attached material. Any downloading fees charged by WENN are for WENN’s services only, and do not, nor are they intended to, convey to the user any ownership of Copyright or License in the material. By publishing this material you expressly agree to indemnify and to hold WENN and its directors, shareholders and employees harmless from any loss, claims, damages, demands, expenses (including legal fees), or any causes of action or allegation against WENN arising out of or connected in any way with publication of the material.